Big closet cleaning ! Help me finance my trip To Germany! 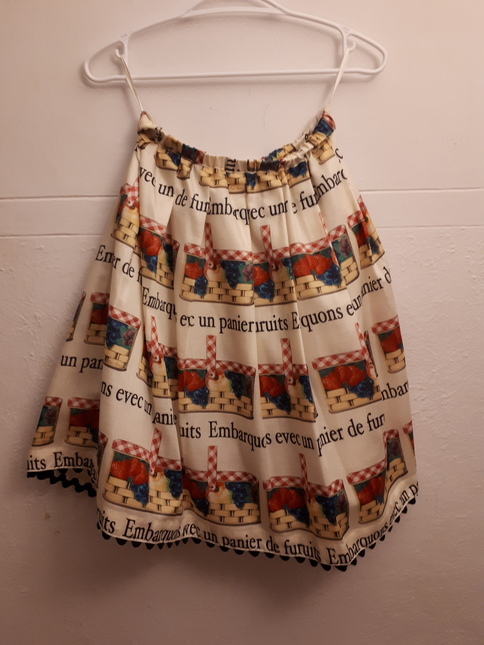 Leur Getter skirt with fruit basket and french writting with bad grammar ! Long lenght, fully shirred. No damage.